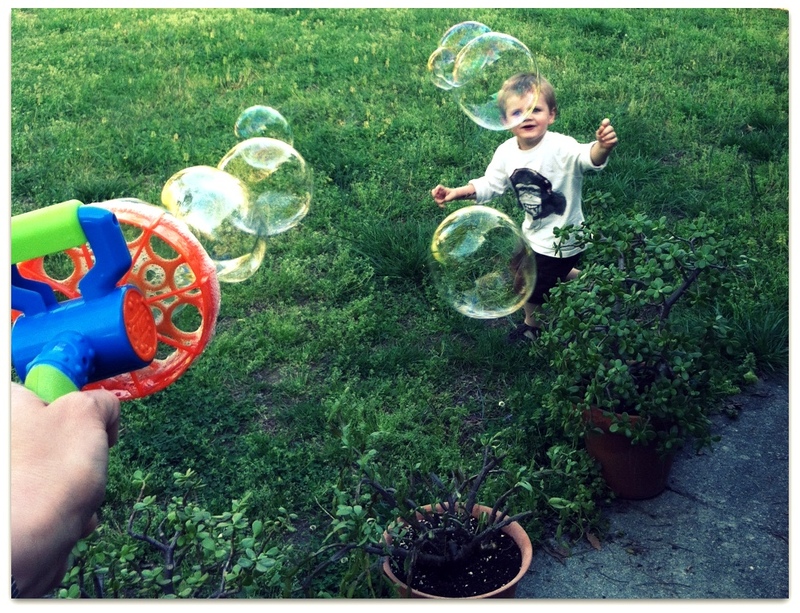 Hooray for Bubbles! Spring is officially here with warmer days and cool breezes and we are pretty much in our yard every day soaking it all in. Since I have a 3 year old and a 8 month old, there isn’t a better way to entertain them both than with some awesome bubbles! Oscar loves blowing and chasing them and Calvin is totally intrigued an amused by his big brother’s antics. 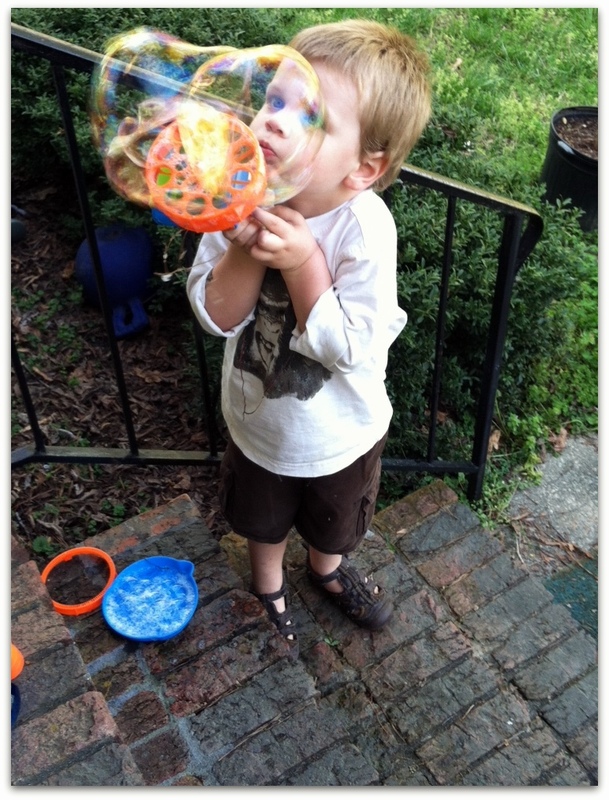 We had the chance to try out a few items from Imperial Toy Bubbles and they did not disappoint. Not only were they fun, (we love the Bubble Turbine!) they are great quality bubbles! In fact, we blew through the bottle (get it??) in no time and tried to use a lesser brand as a refill and could definitely tell a difference in quality. I am particularly excited to try out the glow fusion bubble solution that actually GLOWS in the dark! I mean seriously, bubbles at night? Why didn’t I think of that? The trick will be keeping Oscar up HOURS past his bedtime to wait for it to get dark. 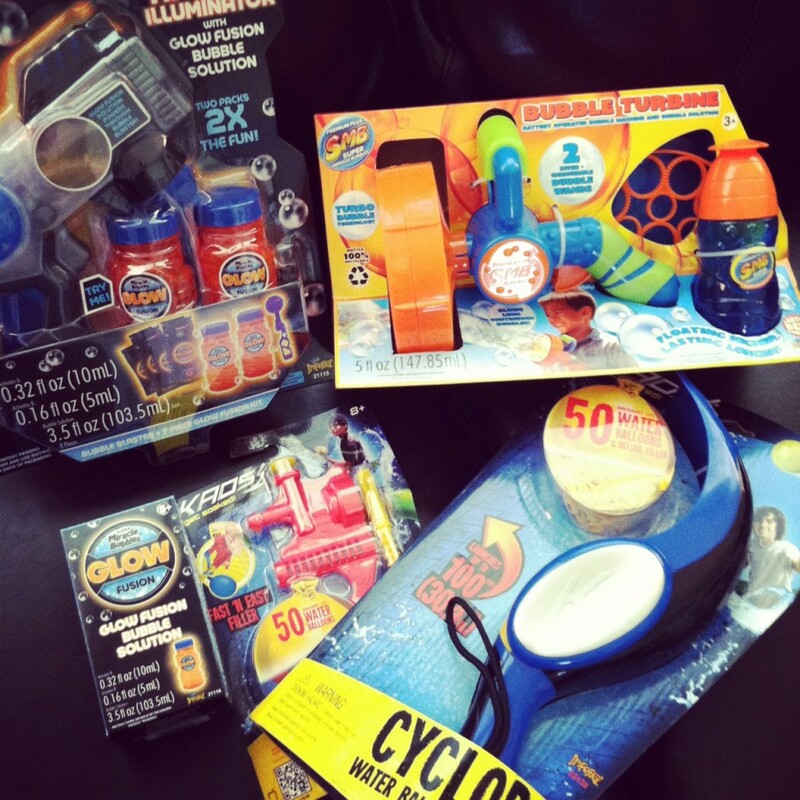 This weekend should be warm so I am really excited to get outside and play with the super sweet Cyclone water balloon launcher. He has never even seen a water ballon so this might be like opening Pandora’s box. At any rate, it’s going to be a blast! To keep up with the latest from Imperial Toy make sure to follow them on Facebook. Thanks for reading! ***This review was made possible by Mom Spark Media. Thoughts are my own.